Available again! Request free Buddhist books from BDK America! Hover over each booklet you'd like and click the 'Add to Cart' link. Then view your cart and complete the checkout process to order your free books. 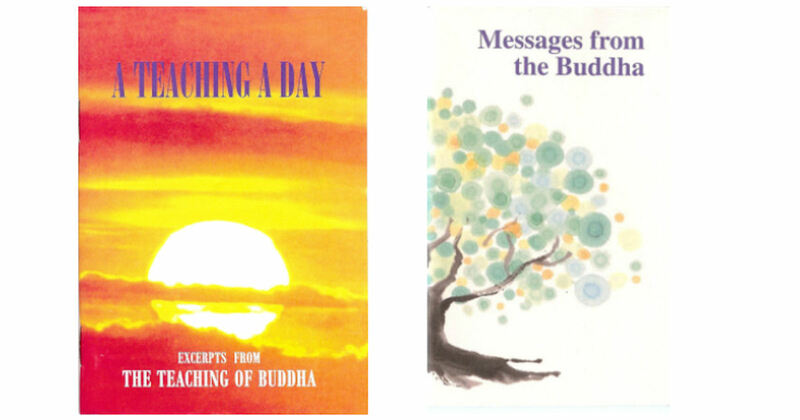 Books include: The Teaching of Buddha, A Teaching a Day, and Messages from the Buddha. Please allow 6-8 weeks for delivery.